There are hundreds of plugins out there which make use of the data provided by Facebook and it’s easy to connect your website to that data. 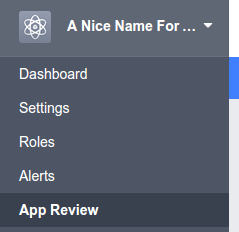 The item we’re looking for here is the “Manage Apps” entry. If you’ve created an App before, you’ll see these listed here ready to be configured if necessary. We’re going to be creating a new App, simply click “Add a New App”. This brings up a dialog which requires some basic information – a friendly name for the App, a contact email address and a category to which your App should belong. The category list is very generic so you might not find your exact match. 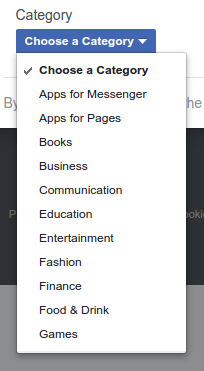 If in doubt, use “Business” or “Apps for Pages”. And that’s it! 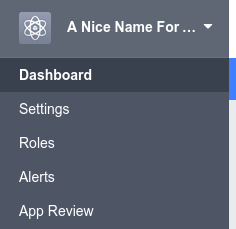 Facebook has all the info it needs. 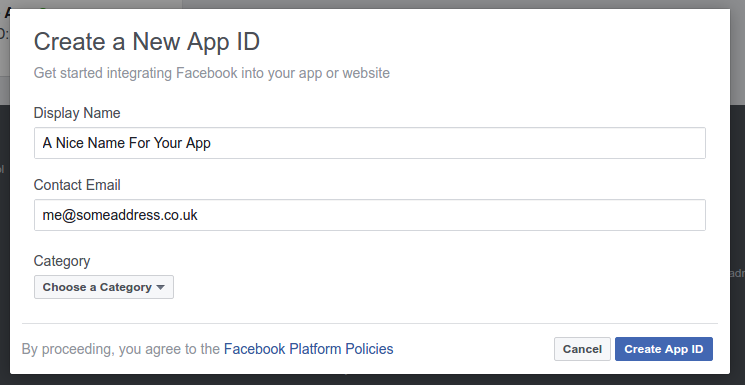 All you need to do now is get the App ID and Secret which can be used in a plugin. 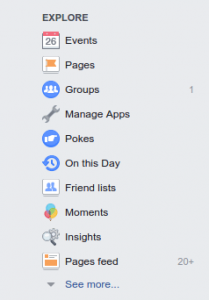 Navigate to the “Dashboard” section of the Facebook App. You will see your App ID and Secret. All you need to do is copy them into the settings of whatever plugin you are using. When you first create your App, it is automatically put into “developer mode”. This makes it accessible only to developers for testing. When you’re ready to go live, you can do so by heading to the “App Review” section. And simply make it public by toggling the relevant switch control.